Robin Potanin has spent two decades in the world of games and entertainment while being based here in Adelaide. Tonight, we continue working our way through the many levels of her story and that of the industry itself as we say, Game On South Australia. This is Level Two. Last week, we began and level one and covered some gruelling territory with Robin, you might want to listen to episode 188 of The Adelaide Show Podcast before listening to this one. We also have a bonus interview with a local computer game coder, Ella Macintyre from Mighty Kingdom. 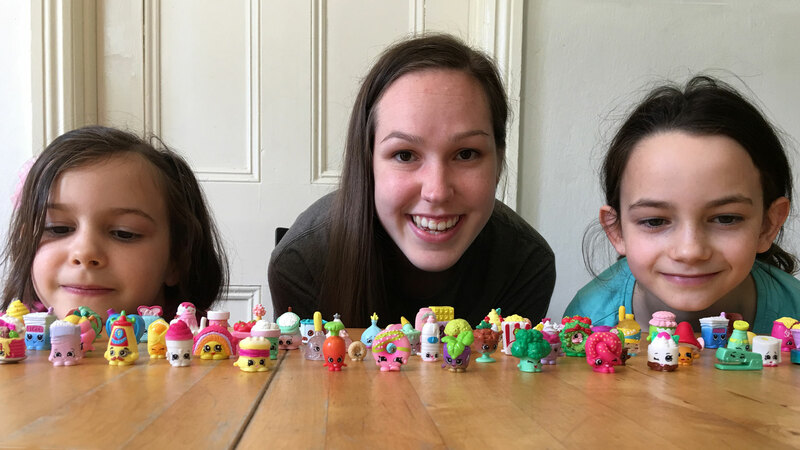 Our in-house voiceover artists, AJ and Caitlin Davis do this interview about Mighty Kingdom’s Shopkins games. The cover image for this week’s show is a picture of Caitlin, Ella and AJ, along with their Shopkins. Suggested Tweet text: From #computergame jobs to the joys of #Shopkins, join the @aieedu on #TheAdelaideShow 189. Is Twitch an adult game? This weekend is Rock N Roll Rendezvous at the National Motor Museum, Birdwood. Ella Macintyre from local game making company, Mighty Kingdom, is interviewed by AJ Davis (8) and Caitlin Davis (6) about the number one game series, Shopkins World. Here is a snippet of the Beer vs Wine dinner at Barossa Valley Brewing. The wine of the night was Turkey Flat Wines, but Denham D’Silva from BV Brewing really marked his territory hard as he vied for votes after each course. And our song this week is Baby Loves Me Hard by The Memphis Suns, selected by our musical curator Dan Drummond.